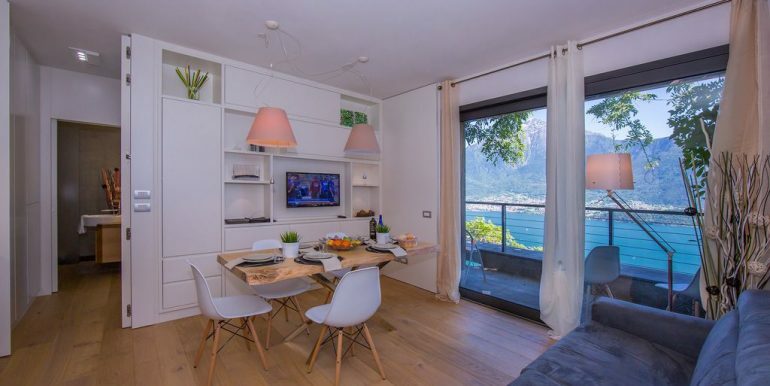 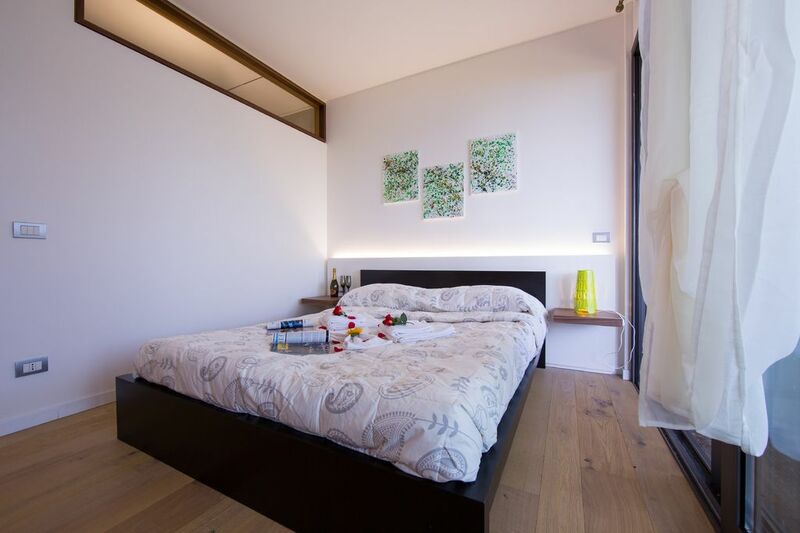 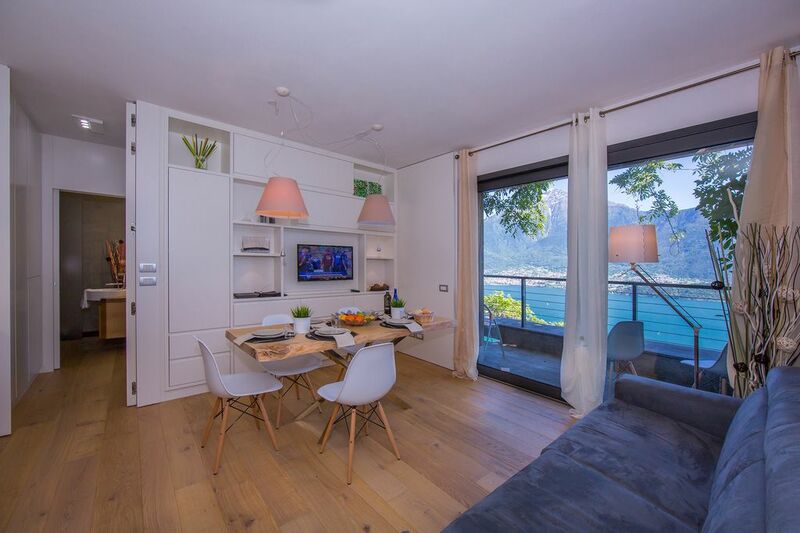 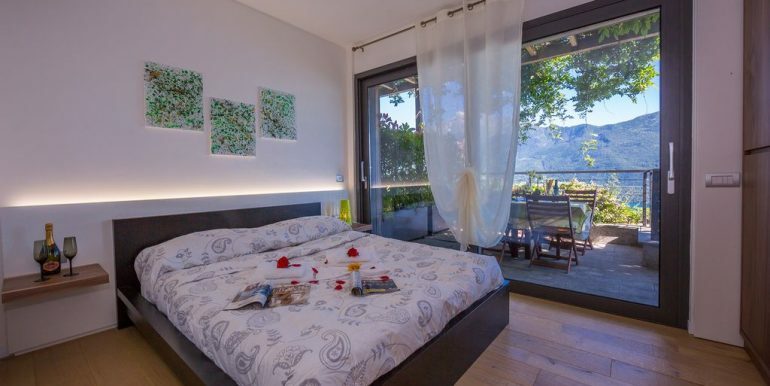 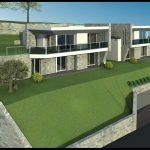 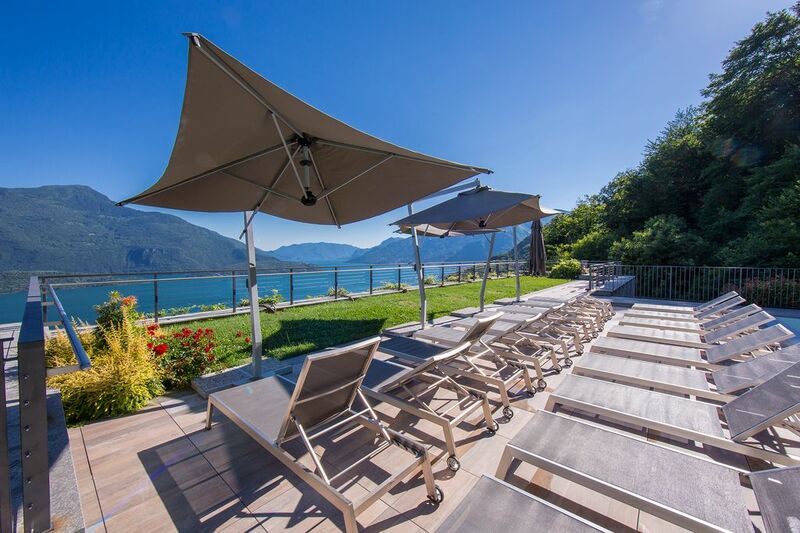 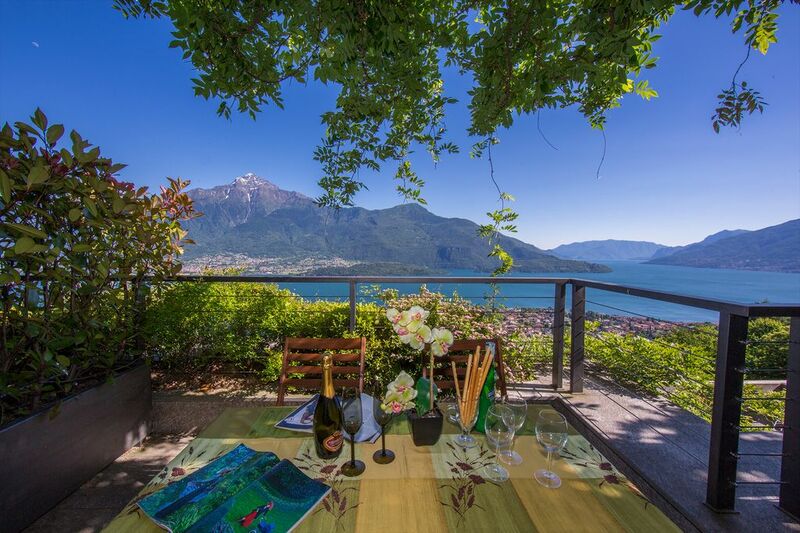 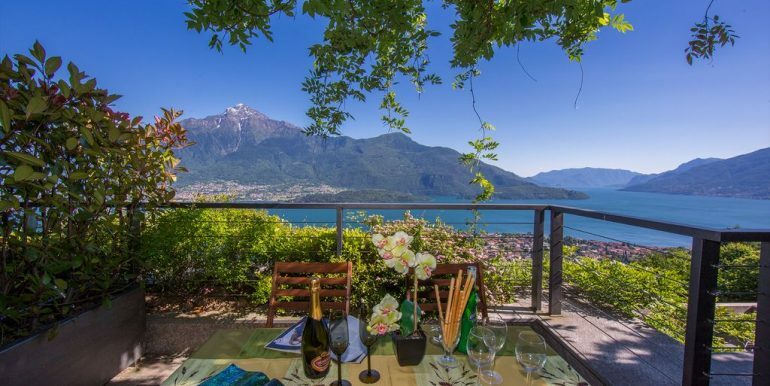 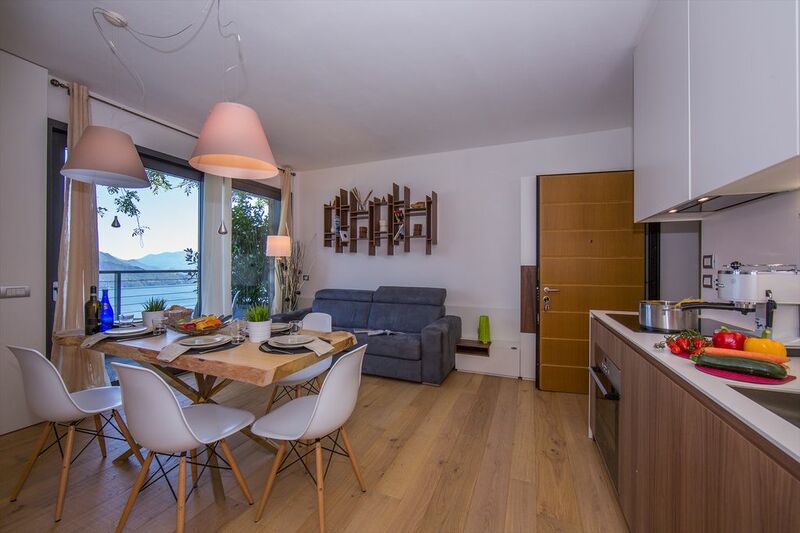 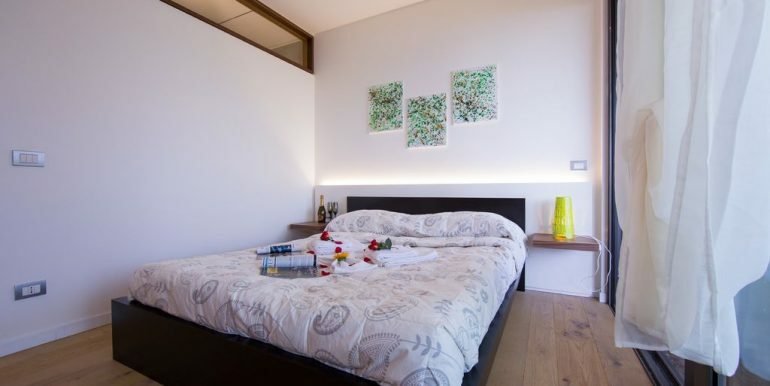 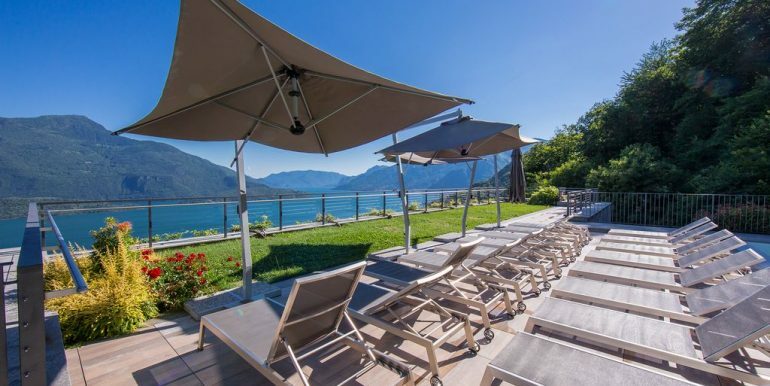 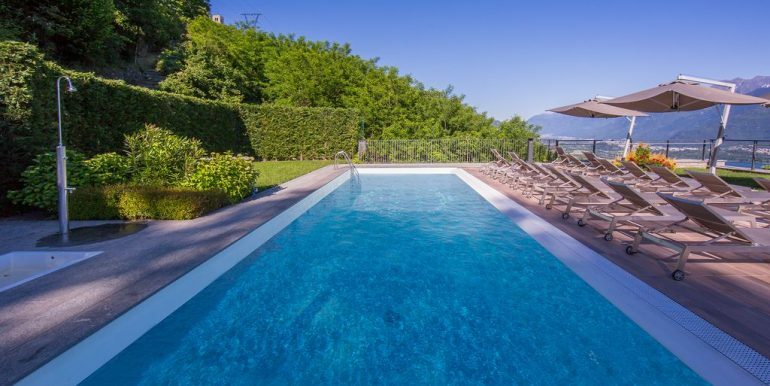 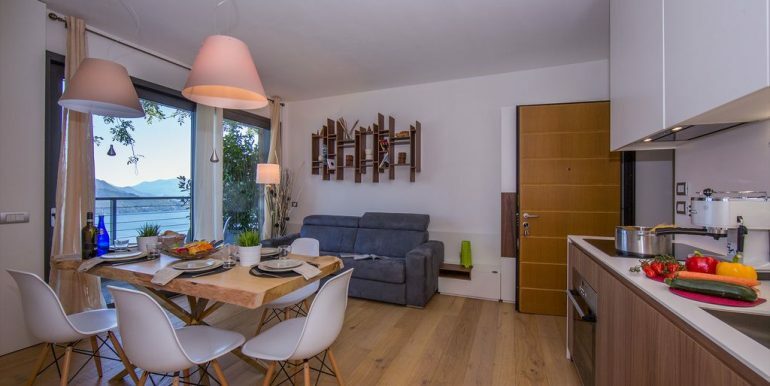 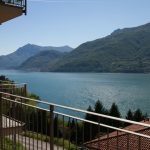 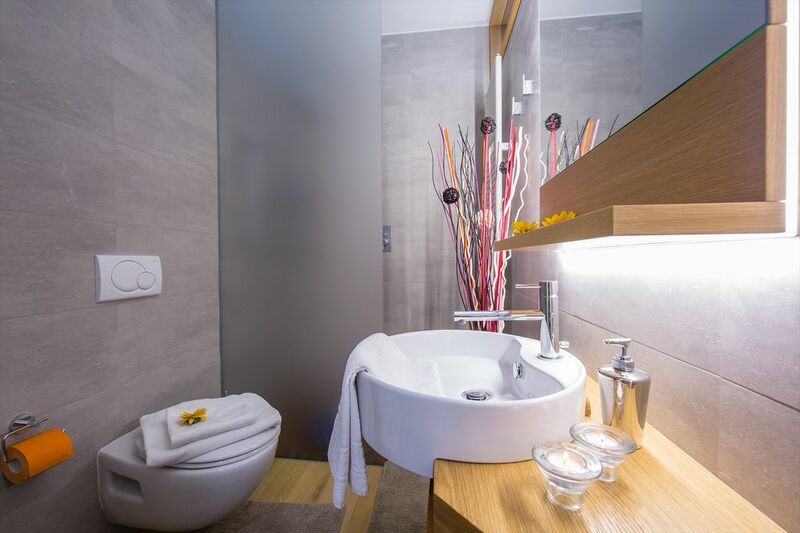 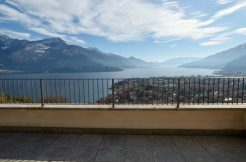 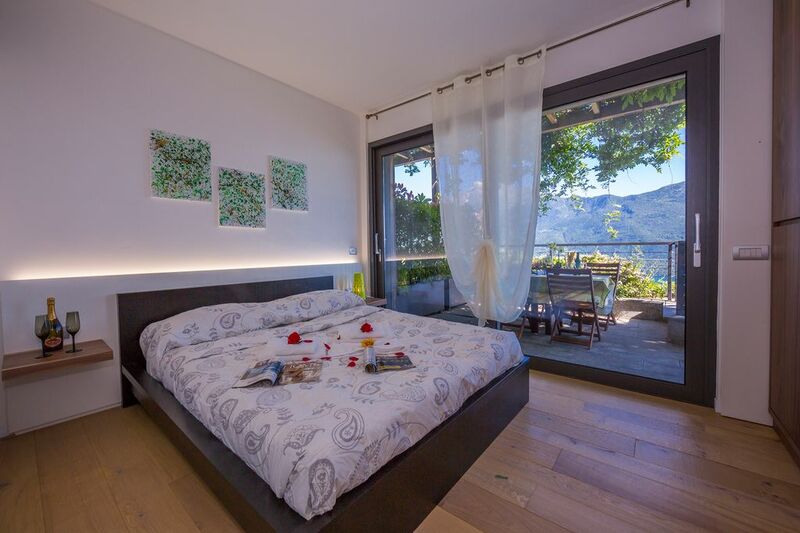 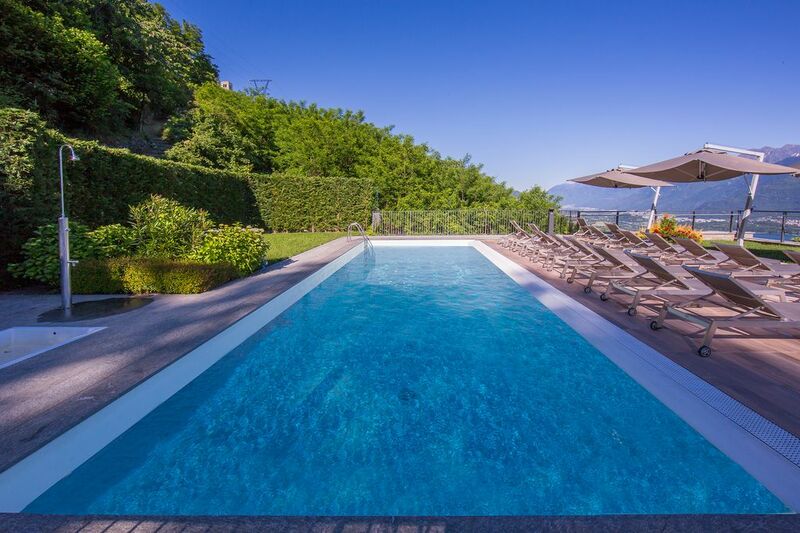 Apartment Residence with Swimming Pool – Vercana… Lake Como above Domaso at 3,5 km from the lake, beach and all amenities…. 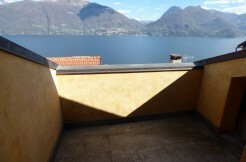 Dominant position with south sun exposure, in modern and elegant residence of recent construction with lift, large solarium and swimming pool, third floor Apartment of 45 sqm plus terrace of 19 sqm with entrance hall, kitchen, living room and bedroom overlooking terrace with pergola and wonderful lake views, corridor and bathroom. 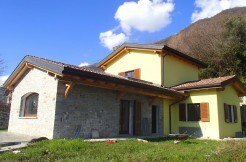 Independent methane gas heating. 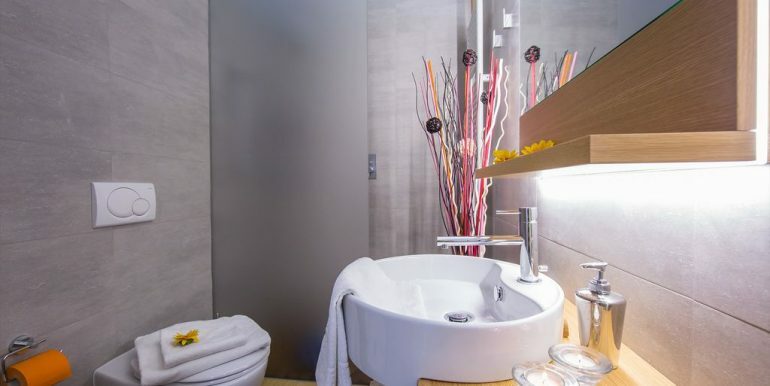 Elegant finishes with modern furnishings.